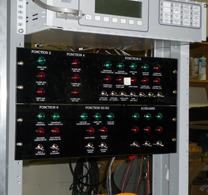 Captel has been offering its services for over 35 years. With its extensive experience, our company provides a full range of services in response to the various needs of our customers. Operating in a highly competitive environment, our company has shown its ability to deliver projects to the customers’ satisfaction.